And then I clicked image search. At the time I did this I got a number of different results, several of the images that popped up which were my own website - Project Gridless, proving that I have talked previously on this topic. Some of them were even photos of myself doing winter archery practice. 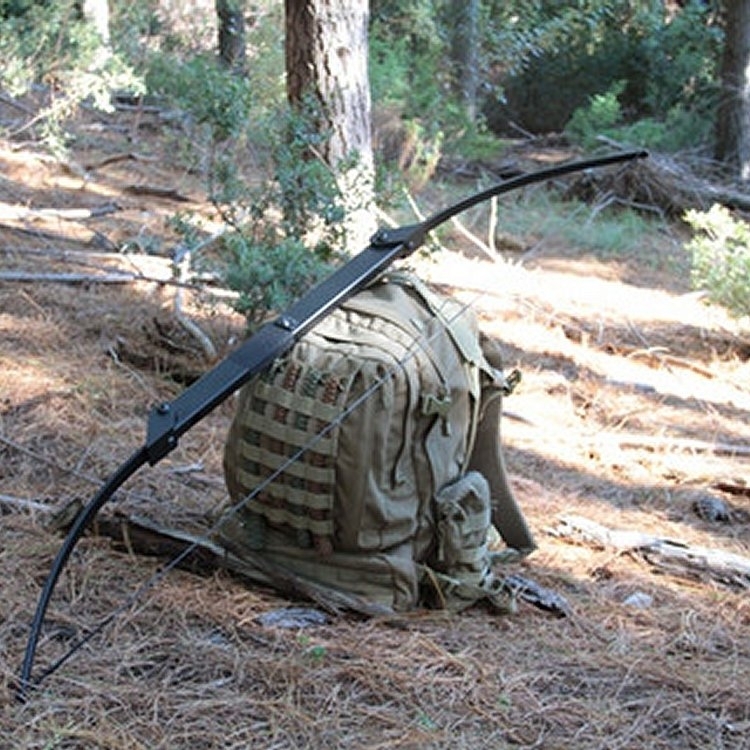 The SAS Tactical Survivor Bow. Unfortunately I have also shot the SAS Tactical Survivor Bow before, and I can tell you that it is a cheap piece of crap as far bows go. Yes, it is a handy little folding bow that is fun to shoot for practice - but I would not use it for hunting and I certainly would not use it during a survival situation. But the arrow rest on it is horribly designed and hurts its accuracy, the release is sluggish which hurts arrow speed (the company claims to get high arrow speeds on their website, but having shot their bows multiple times I would say that their claims are made up nonsense) and accuracy, and the ultimate result is a bow that is really only accurate at 15 yards or less. Note - The 5th photo shown here is not the SAS Tactical Survivor Bow. It is the Primal Gear Compact Folding Bow, which suffers from many of the same design problems as the SAS. Having shot both bows, I can tell you they are both cheap and suffer a loss of accuracy due to poor design. I wouldn't recommend either of them as a survivor bow. The next problem is the arrows. 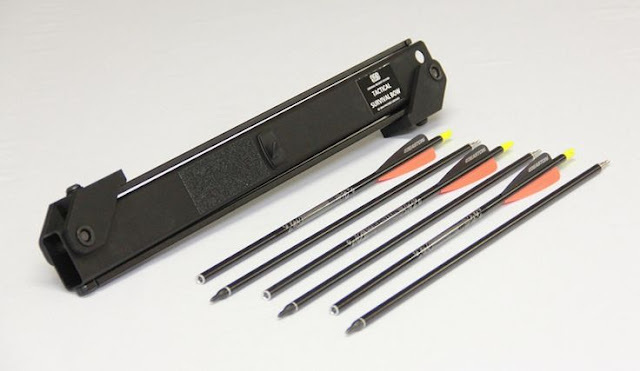 The arrows that come with the SAS Tactical Survivor Bow are 2 piece arrows that screw together in the middle. This effects the spine of the arrows (the flexibility of the arrow) and also the FOC point of the arrow (effectively the centre of gravity of the arrow). 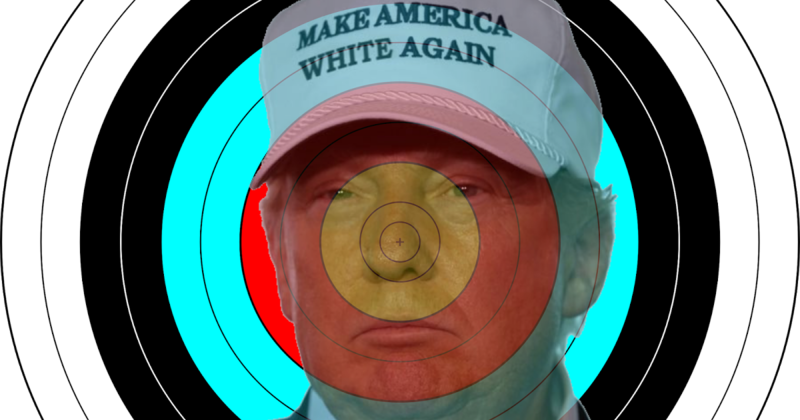 Taken together these two factors makes the arrows less accurate. The bow and kit sells for $199.95 currently, so it is cheap, so it is to be expected that the results should be similarly dismal, as cheap things are often dismally bad. Basically the bow is designed to be compact, but in doing so it has sacrificed accuracy with the horrid arrow rest, the sluggish limbs, the badly spined arrows, and FOC is off. 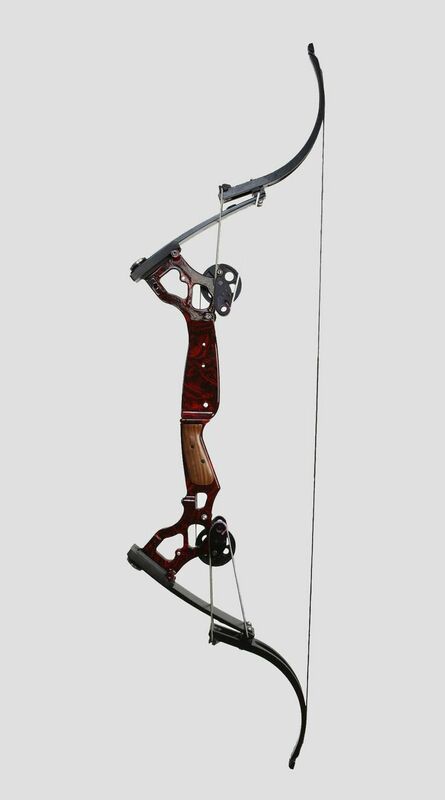 That combination makes it extremely tricky to achieve any kind of long range accuracy with this bow. At 15 yards or less, it is accurate enough, but at 20 yards or more you would be better off using a different bow. The SAS Tactical Survivor Bow does make a decent and solid beat stick however, so when in doubt just beat your enemies with it. The SAS bow thus would be handy for shooting ducks, rabbits and small game if you can get close to them - but horrible at hunting any larger game where you have difficulty getting within 15 yards of the critter. Unfortunately there is a problem. 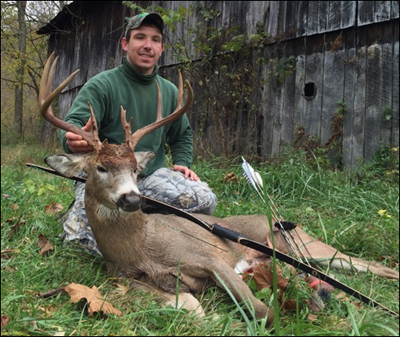 Compound bows are very accurate, but they are also notoriously easy to break. 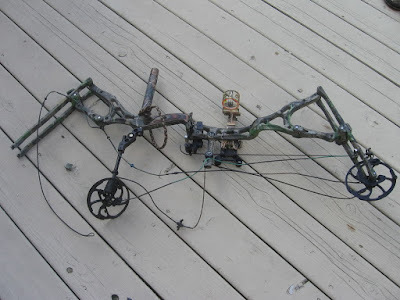 Dry firing the bow, dropping it off a short cliff or out of tree, hitting a zombie/mutant/crazy person with it like a club, etc - anything like that will quickly damage the fragile cams (pulleys) on the compound bow and render it useless and make it very difficult to fix it. Whereas the SAS Tactical Survivor Bow was very durable and not very accurate, the average compound bow is the opposite - accurate and easy to break. Don't believe me? 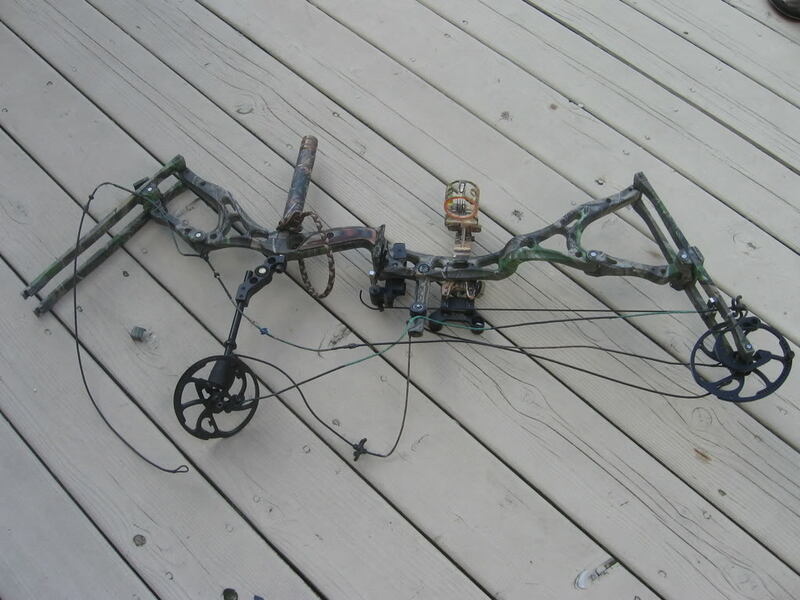 Dry fire your compound bow a few times and see how easily it breaks. The prices for compound bows are also quite expensive. A decent one costs between $300 to $600. A really nice one between $700 to $2500. 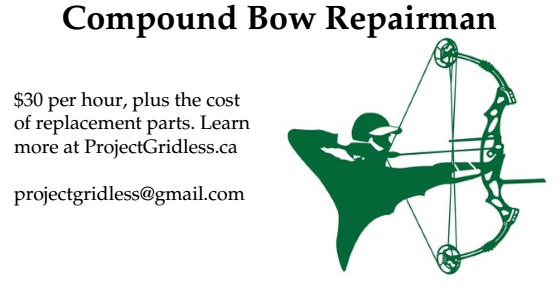 They are all quite easy to break however and you will note that the warranties on compound bows only cover normal wear and tear, they do not cover things like being dropped from a tree and landing on a rock or being dry fired. 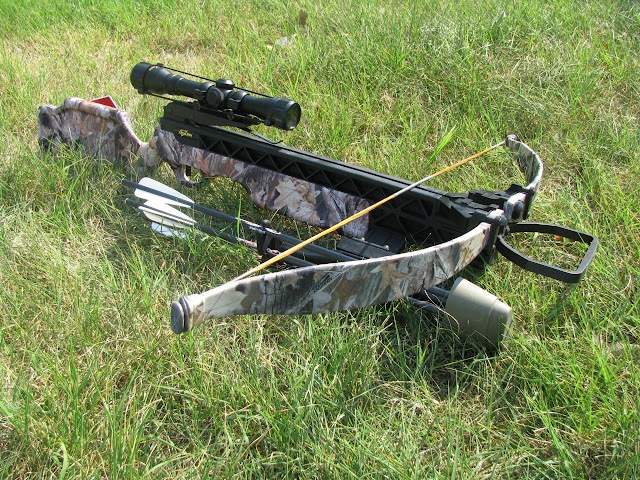 During a short term survival situation the compound bow will likely serve you quite well, providing accuracy as long as it not put through any durability tests. 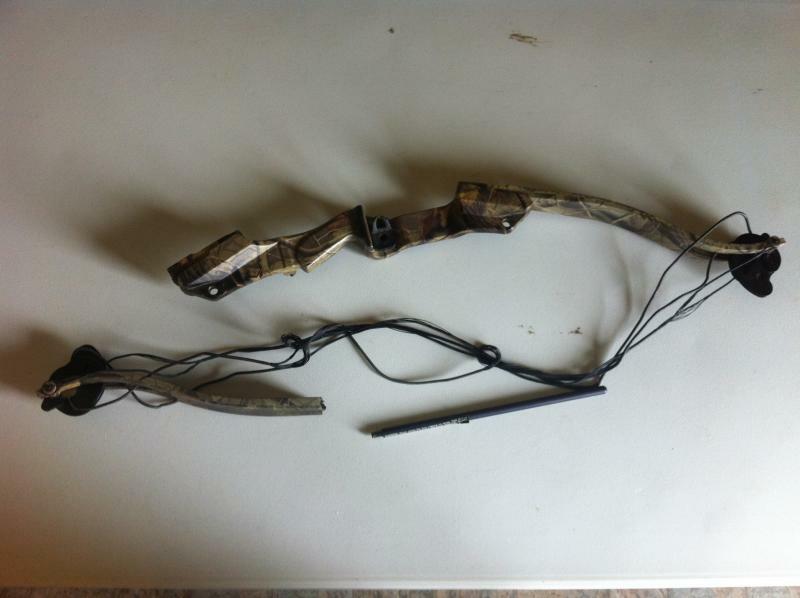 During the long term however a compound bow's durability is going to be tested again and again, and it eventually fails the test - often failing on the first whoops. Because stuff is bound to happen during a nuclear apocalypse or any other kind of apocalypse, that lack of durability is going to really matter. 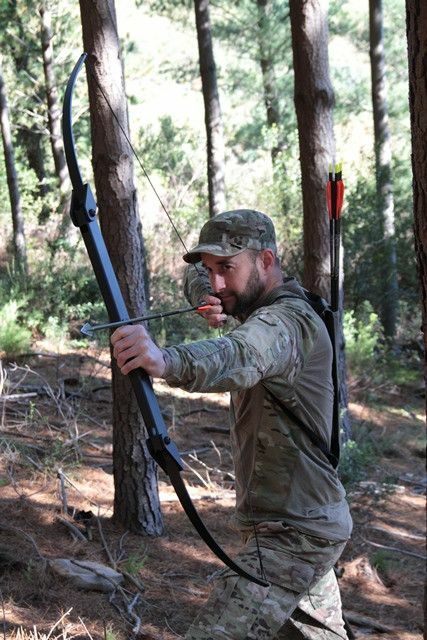 During a short term survival situation the average compound bow thus beats out the SAS Tactical Survivor Bow, but during a long term survival situation the SAS bow wins because of its durability - but at the expense of long distance accuracy. So if the SAS Survivor Bow and the average compound bow both come up short due to lack of accuracy or lack of durability, is there another kind of bow that is both accurate and durable? 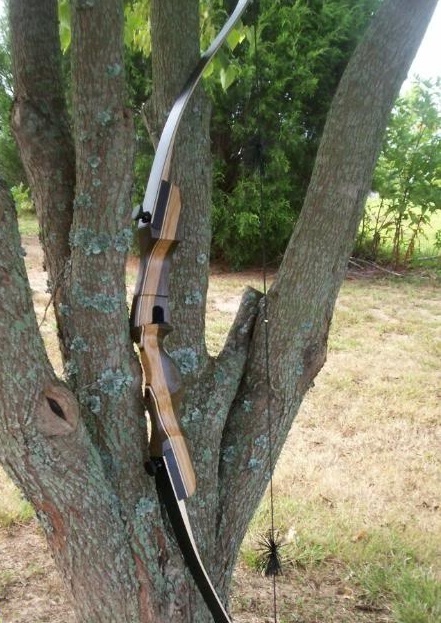 Not all bows are made the same, but some are definitely more durable and accurate than others. I will cite some examples. eg. 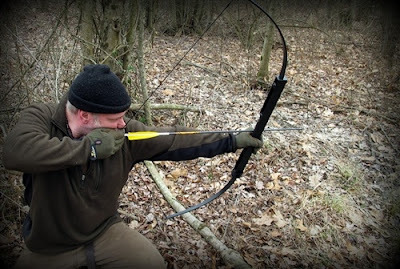 Any recurve or longbow made by Bear Archery, known for making their high quality bows which are exceptionally durable. 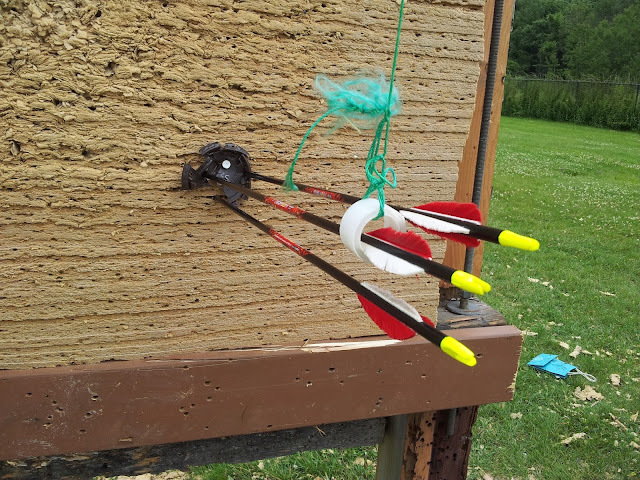 Drop it, get it wet, leave it in a closet for 20 years and forget to unstring it, Bear Archery's products are notoriously durable and keep their accuracy. There are similar manufacturers to Bear, like Browning or Ben Pearson or Blackhawk - many of them being companies that dated back to the 1940s, 1950s, 1960s and continue to make bows today. Antiques of such bows are part of the collections of archery enthusiasts and still shoot as good today as the day they were purchased. 1972 Blackhawk Avenger, 40 lbs. For example, I have a 50 lb Browning Wasp from 1975. It is 41 years old but still shoots amazingly well and looks like it is practically brand new. I bought it on Amazon.ca for $100 CDN. It is very durable and has a thick lacquer on the wood to prevent water damage. If faced with a bear or similar large game, the 50 lb Browning Wasp would do the trick. It would be overkill on small game, but would still get the job done. I also have a 45 lb Bear Grizzly I purchased a few years ago, basically brand new - made of "DiamondWood", which is basically a wood polymer that is immune to water damage. Variations of the Bear Grizzly have been made over the decades with different types of wood or wood polymer (the newest is called "FutureWood"), but the basic design has remained virtually unchanged since the 1950s. My 45 lb Bear Grizzly is perfect for shooting deer or smaller game. On larger game I better have good aim or else I might have to shoot it twice. Basically what it comes down to is that any of these traditional style recurves will serve you well both in terms of durability and accuracy. Their own downside is that you need to practice with them and learn how to do archery properly. That means that if you haven't figured out how to do archery yet, then you should probably sign up for archery lessons. 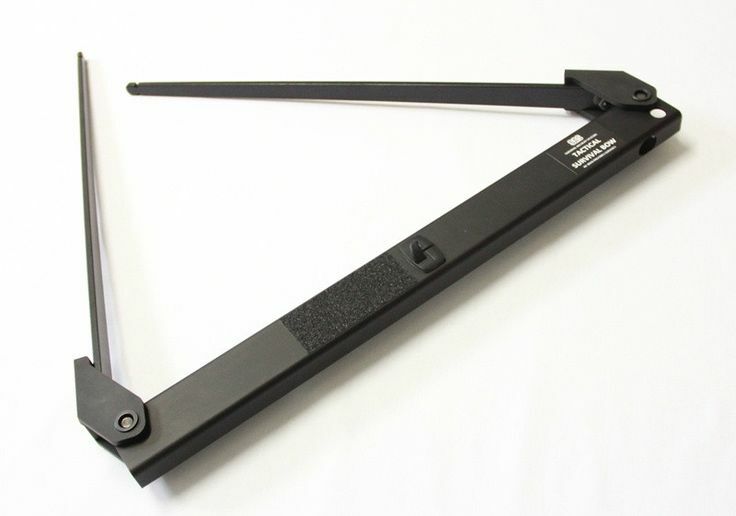 You can get a relatively cheap traditional recurve for $150 by purchasing a Samick Sage. I recommend getting 25 lb limbs to practice with and 45 or 50 lb limbs for hunting with. 35 lb limbs would also be good for hunting small game or bowfishing. Because it is three piece takedown it is easy to store and pack away. 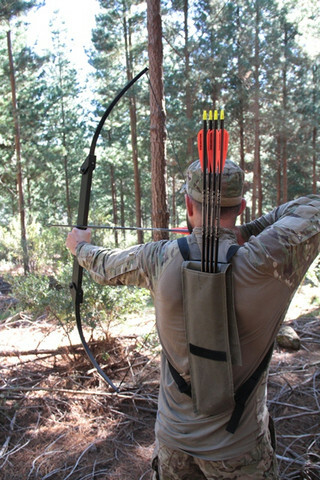 It is a way more accurate bow than the SAS Tactical Survivor Bow, not quite as durable but reasonably durable. If you want more durability then get a Bear Grizzly or a Bear Takedown. With Traditional Longbows (or Flatbows or Pyramid Bows) there is an added issue. Because the bows themselves are all wood or mostly wood, then you need to be oiling the bow regularly to prevent water damage. Traditionally people used animal grease, such as deer grease, bacon grease from wild hogs, but it is also possible to use other kinds of oils such as: Mineral oil, tung oil, linseed oil, etc. Note that not all longbows need such maintenance. eg. See the Bear Montana mentioned further below. Longbows are, for the most part, pretty durable. You can drop them and under most situations they won't break. Run them over with a truck however, and they might survive or they might not. Deliberately try to snap it in two, well, that is your own fault. They're not indestructible. It is also possible to get Two Piece Longbows, which come apart in the middle and that makes them easier to transport. They typically cost about $50 to $100 more than a normal longbow, but if you want something that is easier to transport that is certainly an option. Longbows are harder to learn how to shoot properly compared to recurves, so I definitely recommend archery lessons if you want to learn how to shoot longbows. If you are not sure what longbow to purchase, I recommend the Bear Montana. I have shot that model several times in the past and know multiple people who own that model of longbow and all love it. The other advantage is that because it is made by Bear, the wood will be either DiamondWood or FutureWood, which means you don't need to oil it like you would a normal wood bow. Below is a photo of a man posing with his Bear Montana and the deer he took with it. But wait! What about other kinds of bows? Like crossbows or horsebows (aka shortbows) ??? Crossbows are awesome. I love crossbows. However I should note that compound crossbows (just like compound bows) break easily. Get a recurve crossbow like an Excalibur if you want a crossbow that is nice and durable. Super accurate, durable and easy to restring. In contrast if you damage the cams on a compound crossbow, it is basically garbage (hypothetically you could retrofit it to make it into a normal or recurve crossbow, but otherwise it is garbage). Also if the string ever breaks on a compound crossbow, good luck restringing it without a bow press. 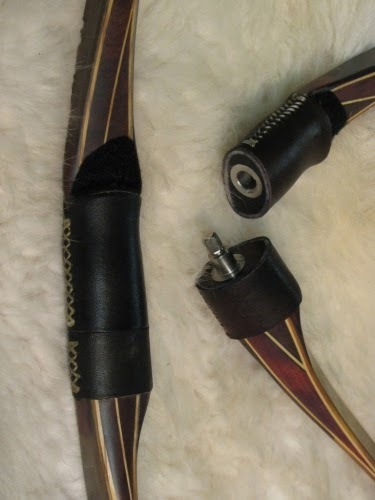 And as for horsebows/shortbows, well, there is a problem. Horsebows are great for shooting at enemies at close range, or shooting volleys at enemies who are either short or medium range. They are not fantastic for hunting as they are not well known for accuracy beyond 20 yards. Yes, you could still hypothetically hunt with a horsebow - but that style of bow is really designed for shooting from horseback at a target which is close range. eg. Shooting at buffalo or bison while on horseback. Sure, that makes sense. Trying to get near a deer and shoot it with a semblance of accuracy - ideally you want to be 20 yards or less. At 30 yards you will be pushing your limits of accuracy with a shortbow. Now don't get me wrong. I also love horsebows. I would also love to own a horse and practice equestrian archery. It is just a situation that the design of horsebows are such that they come with a loss of long range accuracy. Bear Archery does make smaller recurves like the Bear Kodiak Magnum, which are smaller and easy to move around with when surrounded by branches and twigs - but they come with a loss of accuracy at longer distances. 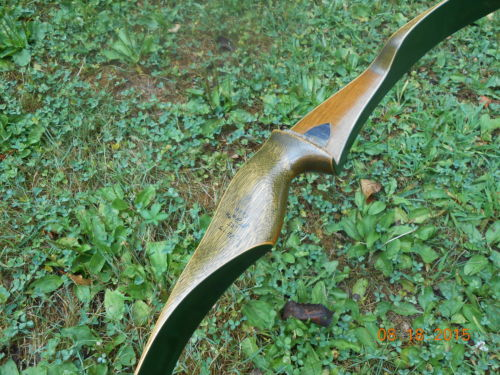 My 1972 Blackhawk Avenger falls into the same shape and design - a shorter recurve that is easier to get around branches with, and it would be okay for shooting at a deer - but I would still try to stick with 20 yards or less with it. 30 yards would be pushing it. Ideally I would probably use that bow for shooting ducks or small game, and use the Bear Grizzly or Browning Wasp for larger game. Honestly, the whole problem with firearms is the issue of ammunition. Bullet casings you could reuse in theory and if you knew how to manufacture your own bullets, you would be okay. But the vast majority of people don't know how to manufacture their own bullets. In any long term survival situation, you will eventually run out of bullets. Arrows on the other hand are reusable. And relatively easy to make your own arrows and arrowheads. You could even make your own longbows if you needed to. Archery, spears and swords would then become the norm until society figures out how to get itself back to normal and manufacture bullets. For hunting purposes archery is also relatively quiet, whereas a bad shot with a rifle will scare all the other game away. A bad shot with a bow and you simply spooked one animal, you then retrieve your arrow and try again. The usefulness of archery in combat situations with other humans also means you could hypothetically take out enemies quietly. Be too noisy and the enemy will hunker down and fortify themselves, thus ruining any element of surprise. That is a situation where you be better off throwing Molotov cocktails in there and smoke your enemies out. What Benefits Does Archery Have Over Firearms??? #1. 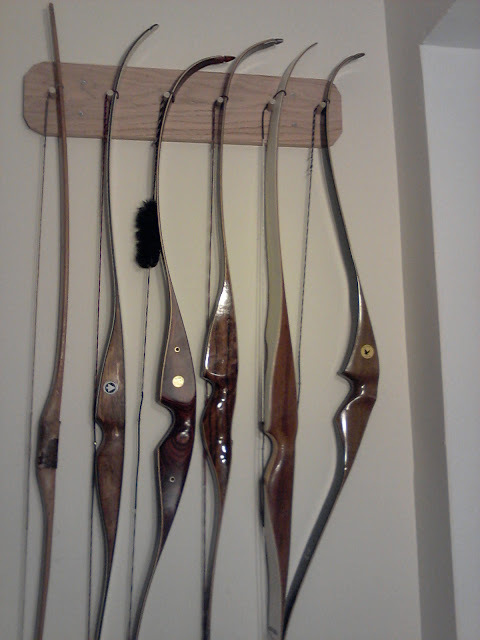 A Takedown Recurve Bow or Longbow is relatively light weight and easy to travel with. #2. Affordable. Archery is cheaper than firearms. #3. Versatile for both warfare and hunting. #4. Less government red tape. You don't need a gun license to buy archery equipment. #5. Relatively silent and deadly. #6. Arrows are reusable and easier to manufacture. #7. Less likely that people will try to steal your bow. A rifle however, that could easily be stolen by less than trustworthy traveling companions. #8. Simple design, simple materials. Easier to repair too. #9. Anyone who is a good shot with a bow commands respect amongst other survivalists. Garnering respect means you are of value as a hunter and as a warrior, whereas other people would be expendable. #10. Knowing how to shoot a bow is a lifelong skill, even if no apocalypse ever happens. Although with Donald Trump running for president, anything could happen. #11. Archery can be used to signal allies using whistling arrows or a burning arrow. #12. Archery can be used for setting fire to enemy fortifications. #13. Less likely your kids will shoot themselves or neighbours, compared to firearms. #14. Learning bushcraft skills is handy for many survival situations, and you are more likely to learn those skills using archery than you are if you take the lazy route and focus on firearms. #15. A bow never jams up on you. But a jammed firearm will be the death of you if it jams at the wrong time. A firearm can also misfire and hurt the user. #16. Less damage to surrounding objects or to the animal. Ever shot a squirrel with a shotgun? Not much is left. But with an arrow there is plenty left to eat. Archery keeps collateral damage to a minimum. #17. No gun control limits. You can own as many bows and arrows as you want. No government rules on making your own arrows or bows either. #18. The typical archer over time develops a collection of bows, which means that in a situation wherein they meet other like-minded people they can loan out their bows and teach other people how to shoot - thus increasing the survival chances of your entire group so that they can all become hunters. Some of them might be limited to hunting smaller game, but having a variety of hunters who can hunt both large and small game allows a hunting group to increase their survival chances. #19. An archer can always switch to shooting a firearm in a situation that demands it, but a person who only knows how to shoot a rifle will be confused as to what to do if they are asked to shoot a bow. Knowing how to hold a steady shot with a bow is a skill that comes in handy when shooting a rifle, but the skill doesn't translate as easily for someone who has never shot a bow before and doesn't know how to aim or proper archery form. #20. Archery is the ultimate survival skill. For centuries the archer was the most feared combatant in warfare, and the most skilled hunter. Gunpowder may have given the average person with no skills an upper hand, but people with guns tend to be trigger happy and waste their bullets needlessly. An archer goes for one shot, one kill. Their goal is to make every arrow count. Learn how to be really good with a bow, and every arrow should hit the target within a doughnut sized area. Roughly the size of the human heart. Get really good at archery and you can shoot even tiny moving targets at 20 yards.